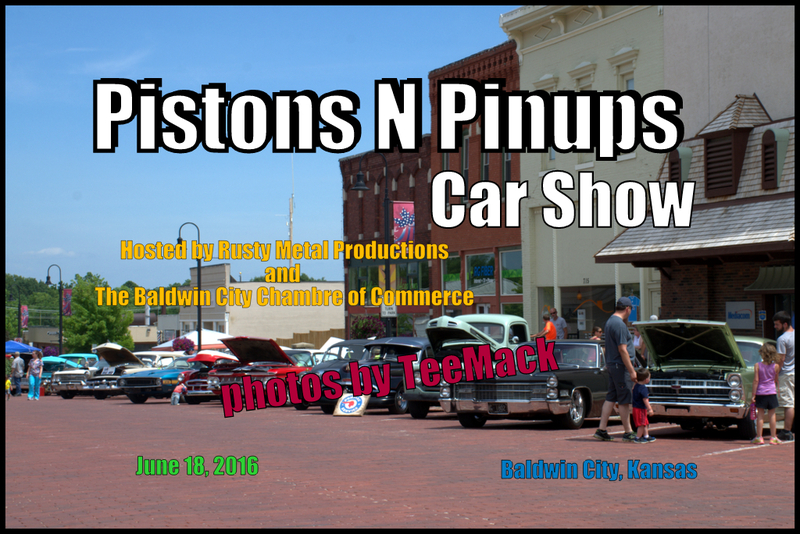 The 3rd Annual Pistons N Pinups Car Show was held in Baldwin City, Kansas on June 18, 2016. 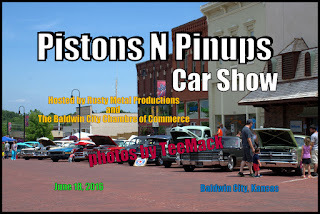 The annual car show was hosted by Rusty Metal Productions and the Baldwin City Chamber of Commerce. The historical city and brick streets provided an excellent background for the car show. Approximately 100 vehicles attended the show. It was a very sunny day with temperatures in the low 90's. Click here to view individual photos or to purchase individual prints.